Remember history - Keeps a record of the pages you have visited, uses the text you have entered into the search bar or into form fields, accepts cookies from sites until they expire. 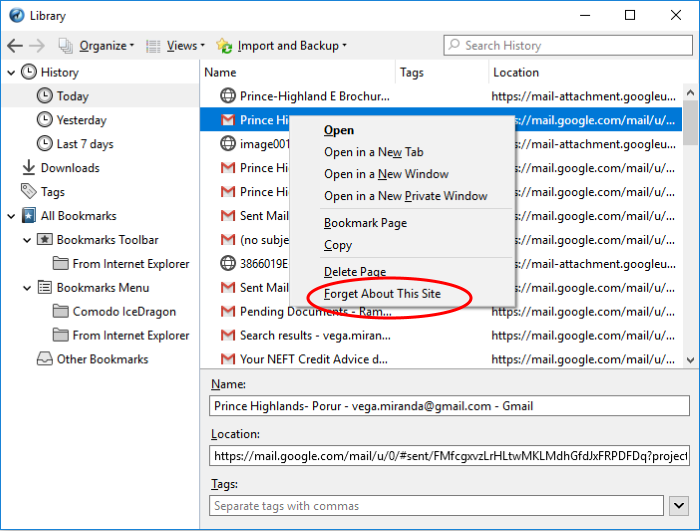 Never remember history - Keeps no record of your browsing history, will not remember text you enter into form fields or the search bar, deletes cookies when you close IceDragon. Always use private browsing mode - CID will not remember any new history the next time it starts. Remember my browsing and download history - CID keeps a list of the pages you have visited and a list of files you gave downloaded. Remember search and form history - The text you enter into form fields or the search bar will be remembered. For more information, see Form Autofill topic. 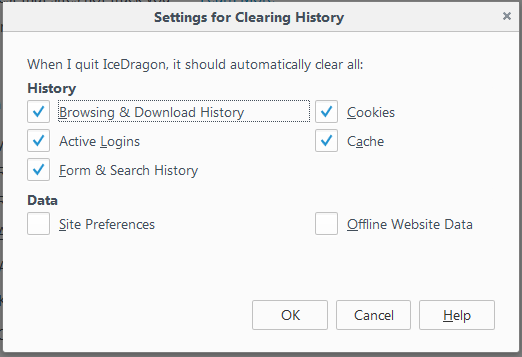 Clear history when IceDragon closes - Saves items that will be deleted when you close IceDragon. Select items that have to be automatically cleared each time you quit. 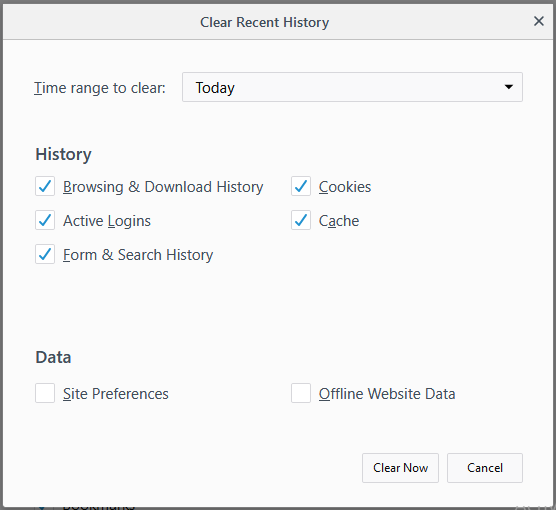 Click the 'Clear Now' button to delete history for the selected period and type of information. Note: Any downloaded files will remain on your computer. This action just clears out your web data. 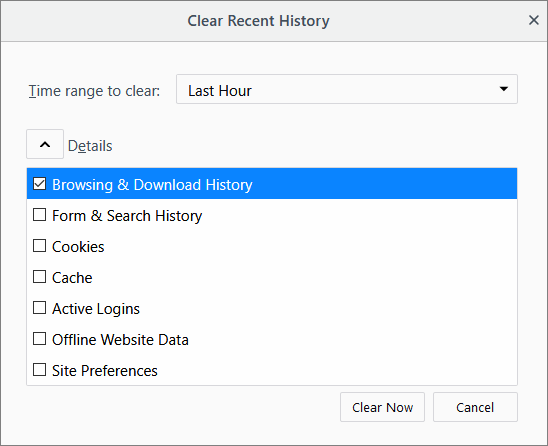 This option deletes all history items (browsing and download history, cookies, cache, active logins, passwords, saved form data, exceptions for cookies, images, pop-ups). Search the website you want to remove from your history by typing its name in the 'Search History' field in the top-right corner.